Promote your business everywhere you go with this Custom Logo Travel Mug. Imagine yourself sipping your morning coffee during you next meeting with your brand right in front of all your clients. The success of every business depends on you & getting your name out there. Branding is a huge part of that success and having it out there in your day to day is crucial. 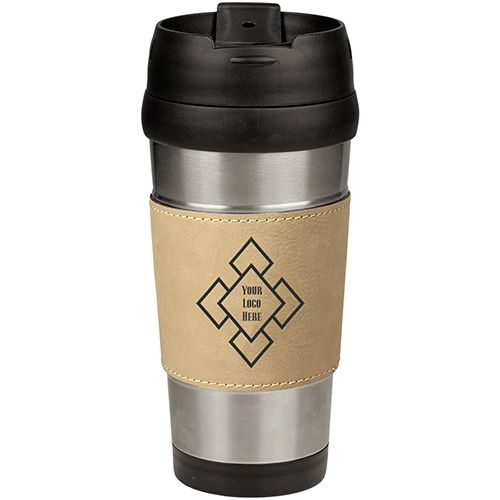 Placing your company logo onto this travel mug, you can market everywhere you go while enjoying your favorite cup of Joe. This 16 oz. Stainless Steel Travel Mug is BPA Free. 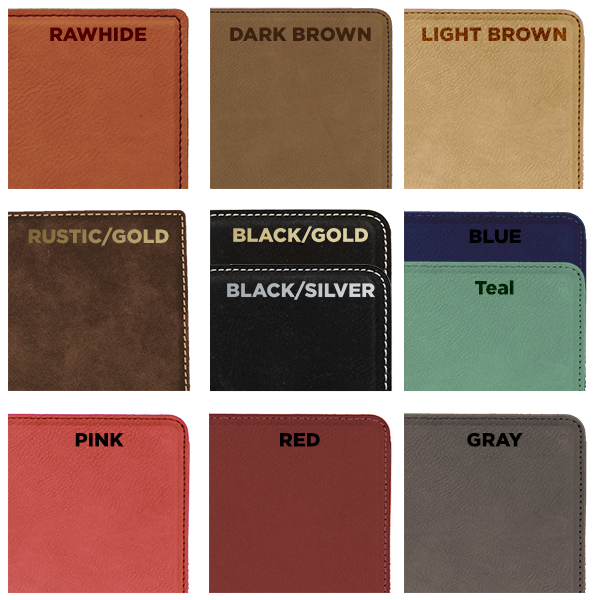 Your business logo will be engraved onto the leatherette cup guard. Hand wash only! Order yours today!